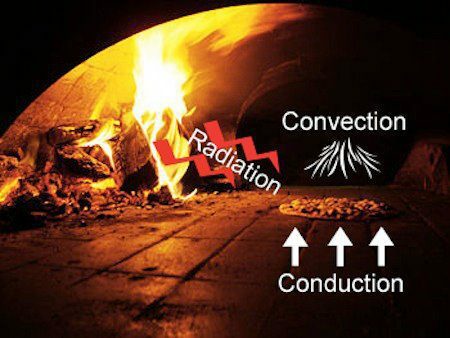 In a home gas oven or grill, the element of “radiative” heat seems to be miserably deficient in comparison to a Neapolitan oven; hence, the home oven or grill mainly depends on “convection” and “conduction” heat to bake a pizza on a pizza stone that is situated above the source of heat. 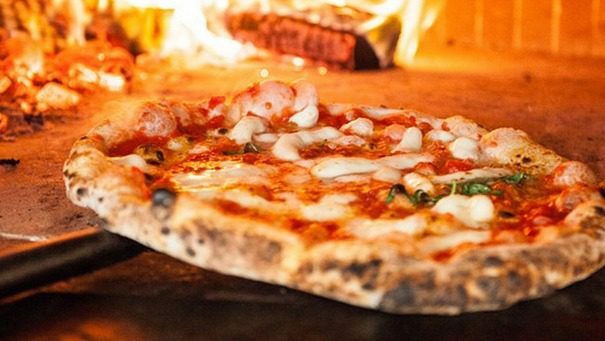 In light of this particular observation, I can see the importance of Giuseppe’s and the Neapolitan gentleman’s statements, respectively: “It is the flame that should bake the pizza. 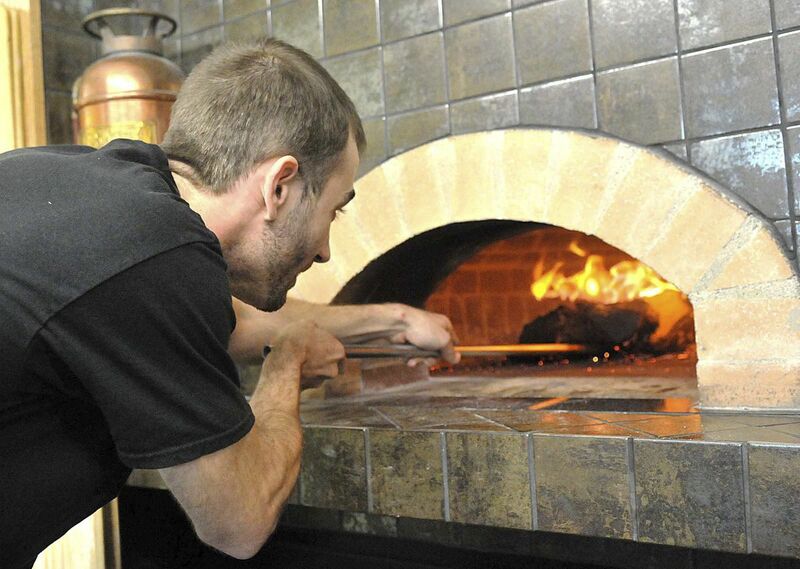 A gas oven or grill can’t make pizza napoletana” and “Real pizza napoletana is done with flame, not just hot wood. Need Flame”. “Radiative Heat” principally from the light of fire (mainly responsible for heating the face of pizza).